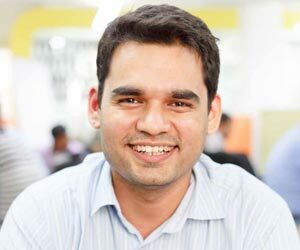 Abhiraj is the Cofounder of UrbanClap. UrbanClap is an online marketplace which helps customers buy reliable, high-quality local services at the push of a button. From plumbers to wedding photographers, interior designers to yoga instructors, UrbanClap helps you hire trusted pros for all your service needs. Over the past 1.5 years, UrbanClap has scaled to 8 cities in India, built a network of 30,000+ service professionals, and caters to 5000+ customer requests every day. Prior to UrbanClap, Abhiraj was a consultant with The Boston Consulting Group, advising Fortune 500 companies across India, Germany and South East Asia. He holds a B.Tech in Electrical Engineering from IIT Kanpur, and an MBA from IIM Ahmedabad, where he was an industrial scholar.